On this week’s Holiday Countdown list, I encouraged you to make some gifts for Christmas instead of buying everything. Handmade gifts are not only budget-friendly, but they add a personal touch and really show someone you care. In my experience, what usually stands in the way of getting around to handcrafting gifts rather than purchasing them is careful planning. That’s why I always start no later than mid-November. If you’re stumped about what to make grandparents, neighbors, friends or anyone else on your gift list, start by looking through magazines or websites for ideas. Some of my favorite sources are Style at Home, Chatelaine, Pinterest, Better Homes and Gardens, Martha Stewart, and other design blogs. Once you’ve found some possibilities, bookmark them or pin them to a board on Pinterest. Next, I write down all the supplies I need to make the gifts and put a checkmark beside the materials I already have in the house. Those I need to purchase are transferred to a shopping list, where I categorize them into Grocery Store, Craft Store, Hardware Store, Dollar Store, etc. 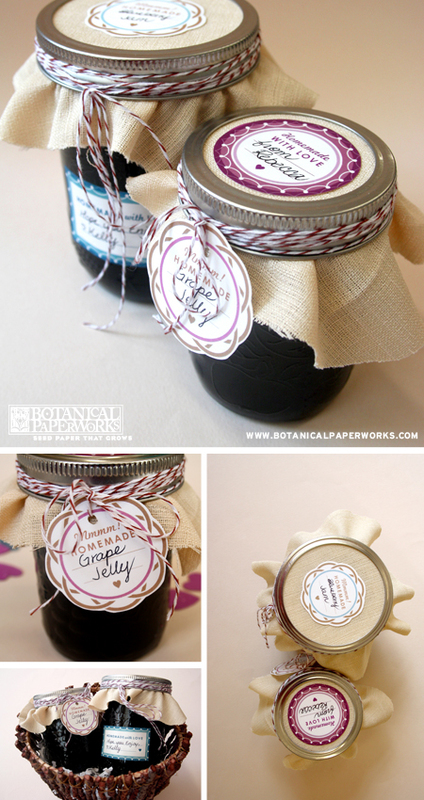 To save time and money, I usually make a big batch of at least one type of handmade gift to pass out to several people. Buying in bulk is usually more economical. In addition, stores like Michaels have 40-50% off weekly coupons, as well as those found in their flyers, so take the time to do a little searching. Once I’ve collected all the handmade gift supplies, I schedule blocks of time in the afternoon or evening to work on specific gifts. For instance, crafts can be put together in November and early December, whereas sweets and other food gifts are fresher when they’re made the week or two before Christmas (depending on when you plan on handing out gifts). To speed up the process, I usually have the food packaging ready to go beforehand, such as boxes, jars, tins, and plates. 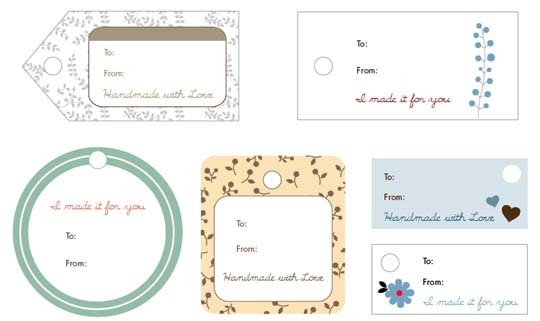 To elevate your gift, consider adding a special tag or sticker signifying it was handcrafted by you. These can be found as free printables or customized by a graphic designer and professionally printed. Last year I ordered mine along with our holiday cards. Here are some options you may want to check out. If you have any other suggestions for handmade gift planning, such as staying on track, specific gifts you’ve made that people really liked, or anything else, I’d love to hear them in the comments. I’m planning on hosting a few holiday related link parties in December that you may want to mark on your calendars. I’ll be sharing one of the handmade gifts I made this season and invite you to share one or two of your own. I’ll be sharing the recipes from this year’s cookie exchange and invite you to link up one or two of your own holiday baking recipes. I invite you to link up one or two posts on anything to do with weeks one to eight of the Holiday Countdown Recap Series, including decorating, gift wrapping, entertaining, cards, and more. 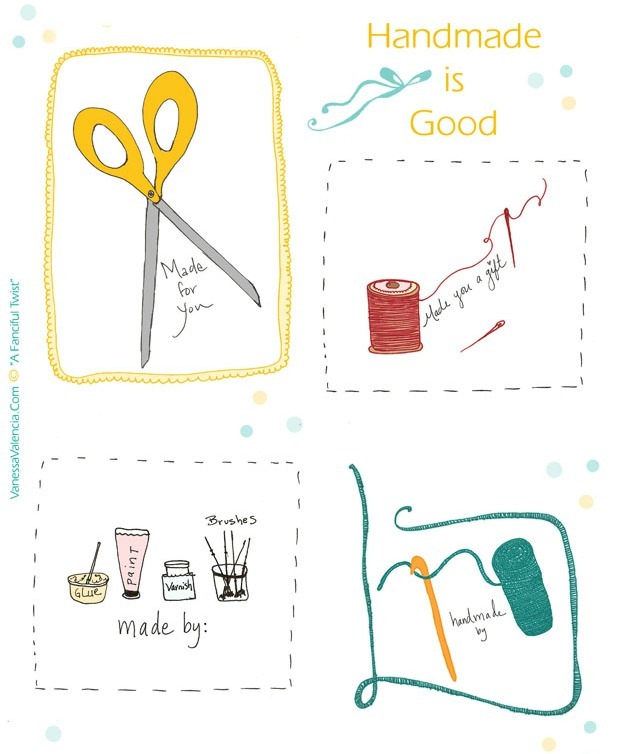 I’m hoping this will encourage you get going on your holiday projects and that you’ll come back and share them with us in December! This year I’m making gifts for my nieces and nephews for the first time. I started last week and I’m really hoping I have them done for Christmas! TY for the tips!